Want to fly further and faster, or be stretched to the limit of your comfort zone to hone your skills? Make sure you read the June/July issue of S&G. 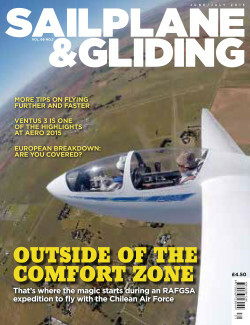 There is also a useful look at securing suitable European breakdown cover and a seven-page report on the highlights of AERO 2015, including the Ventus 3. Earlier this year, Alan Swan was part of an RAFGSA team flying with the Chilean Air Force. TheChilean Andes proved spectacular, but extremely challenging. Alan says that one of the objectives of the trip was to be stretched to the edge of his comfort zone, and that happened on day one – after that it just got more challenging. Having “barely scratched the surface”, Alan says Chile must be one of the best places to go gliding. You don’t need to head off to Chile to improve your skills, though. S&G’s Ask the Coach series of articles on flying further and faster prompted some questions from readers. 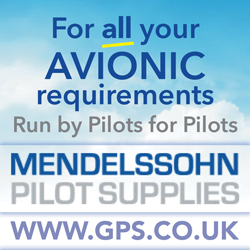 Tony Cronshaw puts these to club coach Kevin Atkinson, who says that with the right flying tactics you will be surprised at how much faster and how much further you can go. If going further includes a trip to Europe, you’ll need to make sure you have suitablebreakdown cover. Preparations for a Poland out-and-return shuttle to deliver a glider for refinishing and collect his syndicate’s LS4 had Jim Crawford delving into the murky depths of insurance speak to secure the right cover. He found that the devil is in the detail of the policy document and that online summaries don’t give enough information for our niche market. Europe’s largest aviation fair, AERO, took place in Friedrichshafen, Germany, in April. One of the gliding stars of the show was Schempp-Hirth’s Ventus 3. Featuring a redeveloped multi-part wing with separately fillable and drainable water tanks, the Ventus 3 will be available in two editions – performance and sport. 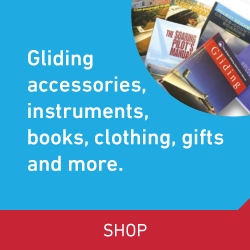 The show is enormous and there was certainly plenty to attract the interest of UK glider pilots visiting Friedrichshafen this year. Also in this issue: Jez Hood reviews the first of three volumes of G Dale’s The Soaring Engine. Frank Jeynes finally gets to fly his new toy, an Arcus T. Two recently qualified instructors describe the new BGA modular instructor course. Mark Dalton joins the club as he discovers the hard way why the only way is up. Peter Hibbard reports on the final round of the Juniors Winter Series. Mike Bird shares his memories of Wally Kahn. Matthew Stickland reports on a practical course bringing lectures to life. Deaf pilot Will Davidson explains how communication was key to achieving his dream of solo flight. S&G’s armchair pilot Anthony Edwards reflects on his best speed to fly theory, first published in S&G 50 years ago. Dave Latimer, chairman of the BGA Development Committee, looks at ways we can all help each other. Bruce Stephenson reports on a German approach to preserving our unique gliders. David Innes goes in search of the solar eclipse and has a magical flight from Aboyne. There are many more of your stunning images in the Gallery pages. And last, but not least, there’s the BGA club annual statistics.